This medication is used to treat mild to moderate pain. It acts on certain centers in the brain to give you pain relief. This medication is a narcotic pain reliever (opiate-type). If you have any questions about using this medication properly, consult your doctor or pharmacist. The dosage is based on your medical condition and response to treatment. For children, the dosage is also based on weight or body size. 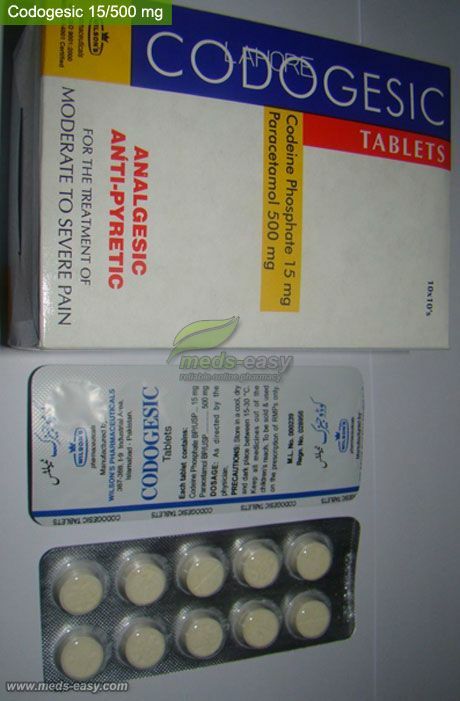 If you are extremely drowsy after using this medication, consult your doctor or pharmacist promptly. Your dosage may need to be lowered. Pain medications work best if they are used as the first signs of pain occur. If you wait until the pain has worsened, the medication may not work as well. You may also take long-acting narcotic medications or use narcotic patches for ongoing pain if so directed by your doctor. Follow your doctor's or pharmacist's instructions for safely using non-narcotic pain relievers (e.g., naproxen, ibuprofen). Ask your doctor or pharmacist if you have any questions. This medication may cause dependence, especially if it has been used regularly for an extended time or if it has been used in high doses. In such cases, withdrawal reactions (e.g., restlessness, irritability, watery eyes, runny nose, sweating, diarrhea) may occur if you suddenly stop this drug. To prevent withdrawal reactions when stopping extended, regular treatment with this drug, gradually reduce the dosage as directed. Consult your doctor or pharmacist for more details, and report any withdrawal reactions immediately. Rarely, abnormal drug-seeking behavior (addiction) is possible with this medication. Do not increase your dose, use it more frequently, or use it for a longer time than prescribed. Properly stop the medication when so directed. When used for an extended period, this medication may not work as well and may require different dosing. Talk with your doctor if this medication stops working well. Tell your doctor if your pain persists or worsens. Nausea, vomiting, constipation, increased sweating, lightheadedness, dizziness, or drowsiness may occur. If any of these effects persist or worsen, tell your doctor or pharmacist promptly. To prevent constipation, maintain a diet adequate in fiber, drink plenty of water, and exercise. If you become constipated while using this drug, consult your pharmacist for help in selecting a laxative (e.g., stimulant-type with stool softener). Remember that your doctor has prescribed this medication because he or she has judged that the benefit to you is greater than the risk of side effects. Many people using this medication do not have serious side effects. Tell your doctor immediately if any of these unlikely but serious side effects occur: slow/shallow breathing, mental/mood changes, fainting, vision changes, slow/irregular heartbeat, difficulty urinating. Tell your doctor immediately if any of these rare but very serious side effects occur: severe stomach/abdominal pain, change in the amount of urine, seizures. A very serious allergic reaction to this drug is rare. However, seek immediate medical attention if you notice any symptoms of a serious allergic reaction, including: rash, itching/swelling (especially of the face/tongue/throat), severe dizziness, trouble breathing. This is not a complete list of possible side effects. If you notice other effects not listed above, contact your doctor or pharmacist. Before using codeine, tell your doctor or pharmacist if you are allergic to it; or to other narcotic pain medications (e.g., morphine); or if you have any other allergies. This medication should not be used if you have certain medical conditions. Before using this medicine, consult your doctor or pharmacist if you have: severe breathing problems (e.g., respiratory depression), certain bowel diseases (paralytic ileus, infectious diarrhea), intoxication with medications that depress the nervous system or your breathing (CNS/respiratory depressants such as alcohol or tranquilizers/sedatives). Before using this medication, tell your doctor or pharmacist your medical history, especially of: brain disorders (e.g., seizures, head injury, tumor, increased intracranial pressure), heart problems (e.g., irregular heartbeat), lung diseases (e.g., asthma, hypoxia, hypercapnia, chronic obstructive pulmonary disease-COPD), disease of the pancreas (e.g., pancreatitis), mental/mood disorders (e.g., toxic psychosis), gallbladder disease, a certain spinal problem (kyphoscoliosis), personal or family history of regular use/abuse of drugs/alcohol, kidney disease, liver disease, adrenal gland problem (e.g., Addison's disease), difficulty urinating (e.g., due to enlarged prostate or urethral stricture), underactive thyroid (hypothyroidism), intestinal diseases (e.g., colitis). Before having surgery, tell your doctor or dentist that you are using this medication. This drug may make you dizzy or drowsy. Use caution while driving, using machinery, or taking part in any other activity that requires alertness. Avoid alcoholic beverages because they may increase the risk of this drug's side effects. To lower your risk of dizziness and lightheadedness, get up slowly when rising from a sitting or lying position. Caution is advised when using this drug in the elderly because they may be more sensitive to its effects, especially slow/shallow breathing and drowsiness. During pregnancy, this medication should be used only when clearly needed. Using it for long periods or in high doses near the expected delivery date is not recommended because of possible harm to the unborn baby. Discuss the risks and benefits with your doctor. Infants born to mothers who have used this medication for an extended time may have withdrawal symptoms such as irritability, abnormal/persistent crying, vomiting, or diarrhea. Tell your doctor immediately if you notice any of these symptoms in your newborn. This drug passes into breast milk and may rarely have undesirable effects on a nursing infant. Tell your doctor immediately if your infant develops increased sleepiness, difficulty feeding, or trouble breathing. Discuss the risks and benefits with your doctor before breast-feeding. Your doctor or pharmacist may already be aware of any possible drug interactions and may be monitoring you for them. Do not start, stop, or change the dosage of any medicine before checking with your doctor or pharmacist first. This drug should not be used with the following medication because very serious interactions may occur: naltrexone. If you are currently using the medication listed above, tell your doctor or pharmacist before starting codeine. Before using this medication, tell your doctor or pharmacist of all prescription and nonprescription/herbal products you may use, especially of: anticholinergic medications (e.g., scopolamine), cimetidine, other medications for pain (e.g., pentazocine, nalbuphine), quinidine. Tell your doctor or pharmacist if you also take drugs that cause drowsiness such as: certain antihistamines (e.g., diphenhydramine), anti-seizure drugs (e.g., carbamazepine), medicine for sleep or anxiety (e.g., alprazolam, diazepam, zolpidem), muscle relaxants, phenothiazines (e.g., prochlorperazine, chlorpromazine), psychiatric medicines (e.g., risperidone, amitriptyline, trazodone). Check the labels on all your medicines (e.g., cough-and-cold products) because they may contain ingredients that cause drowsiness. Ask your pharmacist about using those products safely. This medication may interfere with certain laboratory tests (including amylase and lipase levels), possibly causing false test results. Make sure laboratory personnel and all your doctors know you use this drug. This document does not contain all possible interactions. Therefore, before using this product, tell your doctor or pharmacist of all the products you use. Keep a list of all your medications with you, and share the list with your doctor and pharmacist. Do not share this medication with others. It is against the law. This medication has been prescribed for your current condition only. Do not use it later for another condition unless told to do so by your doctor. A different medication may be necessary in that case. Store at room temperature between 68-77 degrees F (20-25 degrees C) away from light and moisture. Keep all medicines away from children and pets. Do not flush medications down the toilet or pour them into a drain unless instructed to do so. Properly discard this product when it is expired or no longer needed. Consult your pharmacist or local waste disposal company for more details about how to safely discard your product. Click the button below to add the Codogesic Codeine Phosphate 15 mg Paracetamole 500 mg 100 tablets by Wilson`s Pharmaceuticals / Strip to your wish list.